Asian International Montessori School, Battaramulla is located in the heart of Thalawathugoda, down Kumaragewatta Road in a beautiful, quiet surrounding ideal for parents who desire a warm and loving environment for their children. It offers many benefits and is a great place for children to interact with peers and learn valuable lessons such as how to share, take turns and follow rules. It also prepares them for kindergarten and beyond. Their rich curriculum makes learning serious fun. The impressive list of fun activities offered to children include Music, Dancing, Physical Education, Speech and Drama, Cookery, Show and Tell, Art & Craft, Gardening, Field Trips, imaginative role play, water play, sand play….list goes on and on..
Their cool pool adds more colour to the school with it’s sparkling blue water, being the only Montessori in town that provides swimming lessons after School.. Hurry! 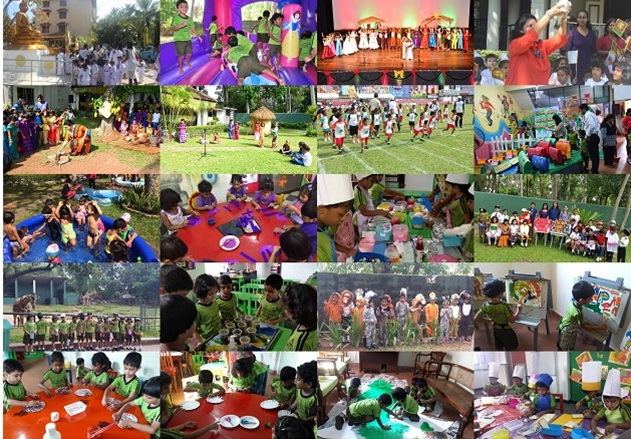 Join the AIS Montessori, Battaramulla family today and experience the difference. 1089/48, Kumaragewatte Road, Thalawatugoda, Battaramulla.